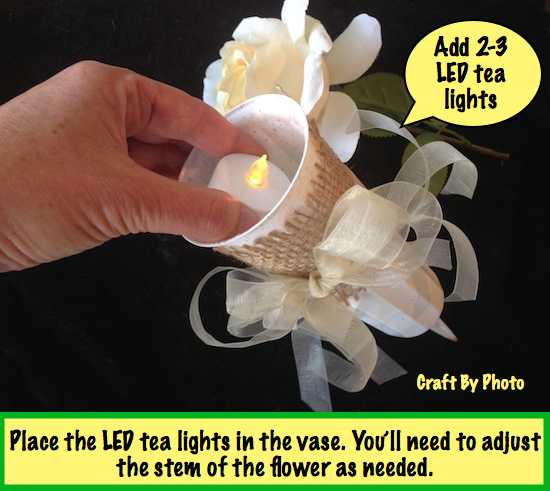 Place several LED tealight candles in their “lit” positions inside the white cemetery vase. Put the flower stem down in at the same time so that it all fits properly. Once you have completed this step, the only thing left to do is REPEAT with as many luminaries as you want to line a pathway.